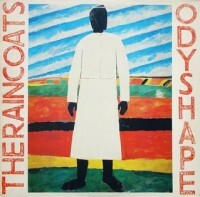 The Raincoats hold it together just as much as their Delta 5/Au Pairs contemporaries, but the atmosphere provided by The Raincoats is much more melancholic and spacious. Known to many Americans as one of those bands to check off their Kurt Cobain-faves list, this London post-punk group was really one of the most adventurous bands emerging in their day. While the other popular, predominantly girl bands had punk and funk flair to match or better Gang Of Four, The Raincoats instead went an alternate route, swapping many little instruments that enfolded tentative, folky vocals. The centerpiece is probably “Only Loved At Night,” all chimes, percussion, thumb piano and tinny guitar occasionally punctuated by bass tones.